Calling Maquia emotional dynamite feels slightly off. Not because it doesn’t have that much destructive power, but rather because its sentimental strikes are calculated rather than arbitrarily explosive. Save for an act that gets needlessly distracted by the fantasy war narrative, the movie is fully committed to its heart-wrenching tale of motherhood. Its message will likely resonate with you no matter your position in life, but it doesn’t dilute its essence too much to make a more generally relatable point. This genuine core is executed in spectacular fashion as well – from the delicate touch of a mother to grand scale action, the movie’s animation is a feat only matched by the dazzling art direction. When the time is right we’ll gladly return to the movie to talk about its incredible draftsmanship and the collective directorial effort behind it all, but for now we’d like to talk about the circumstances surrounding this project; Maquia is a movie about upbringing made in an attempt to raise young animators, just as studio P.A. Works makes a strong push towards fostering their own talent. It’s not just a good film, it’s potentially a very important one. For starters, it’s important to note that anime studios wanting to train youngsters is far from a new concept, or even worthy of praise in and of itself. More often than not it’s tackled from a purely pragmatic angle: the industry as a whole has a dangerous shortage of workers, so studios will gladly entrust newcomers with all sorts of duties. The issue there is of course that not all young artists are prepared for such responsibilities from the get-go, and most companies can’t be bothered to spare the resources for proper tutoring. While there are training periods for the most part, these tend to amount to making new anime staff do their job and hope they either learn by osmosis or personally go out of their way to train in other ways. And they better learn quickly, since the delegitimisation of introductory positions can screw over those who don’t. Even the Young Animator Training Project (currently under the Anime Tamago brand) failed at its one specific goal by not being able to follow through on the instruction process. When fresh talent bursts through, which is actually very often, it inevitably comes down to a combination of personal effort and raw talent, rather than flourishing in environments that encourage growth. Fortunately, there also are exceptions to that sad reality. Over the last few years, the trend to create sub-studios in more rural areas with the explicit intent to train new staff under less stressful circumstances has been very positive. The most noteworthy cases are of course White Fox Izukogen and Kinema Citrus’ Gift-o-Animation, two brave ventures that are already having quantifiable beneficial impact on their parent studios. Their successes stand out even more when you compare them to much milder initiatives like TRIGGER Fukuoka, meant to train young digital animators but not willing to invest in that field like companies like Tatsunoko have done. Rather than creating new branches or exploiting new tech though, P.A. 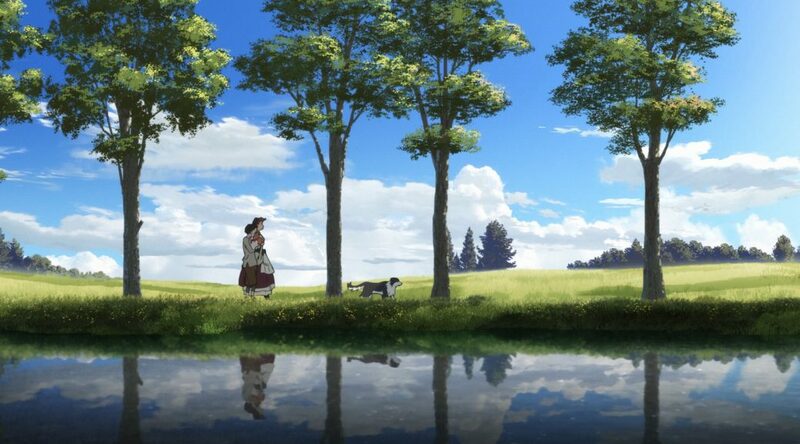 Works has chosen to mirror an industry leader in this regard: Kyoto Animation. A couple of months ago they began instructing new artists in their training course, which even borrows the name of the program that KyoAni has been operating for many years. The objective of initiatives like this is of course to train young artists, but also to get them acclimated to how your particular studio creates anime, which then encourages them to choose your company if they want to pursue this path further. And that brings us to the next point: P.A. Works doesn’t only want to nurture talent, they’re trying to address their issues retaining it. Before going viral with the McDonald’s commercials by Studio Colorido, Namiko Ishidate was an in-betweener and cleanup animator at P.A. Works, just like Ryo Miyaki, another promising animator who first decided to go freelance and then moved to Kyoto full-time. To avoid more cases like that, and also as a generally positive move, P.A. Works is transitioning towards a proper salary system. This should shock no one, but providing a living wage to your staff and letting them focus on your studio’s work is unequivocally good. Sure, it might take years if not decades to reach the current level of the studio they’re looking toward as their goal; keep in mind that KyoAni is up to their 27th generation of students while also now offering 2 year long courses for those who want them, since that’s how long they’ve been fully invested in endlessly training youngsters. But as a start, P.A. Works’ actions hold a lot of potential. It’s a set of measures and programs working in conjunction for the sake of raising their own crew, as opposed to empty words about wanting to train young animators. At this point you might be wondering how Maquia comes into play in this story. If the studio’s plan for the future is so solid, then it shouldn’t depend on their projects… if that was the only factor, that is. The awkward truth is that P.A. Works wasn’t really prepared for extensive mentorship, because their lineup of in-house animators has historically been rather subpar. Their animation leader Masayuki Yoshihara has done all he could to train young animators, but as an important director who likes to spend a long time on his projects, there’s only so much he can do. The same can be said about Yuriko Ishii, the studio’s strongest character animator who’s already got her plate full with key scenes and design duties. 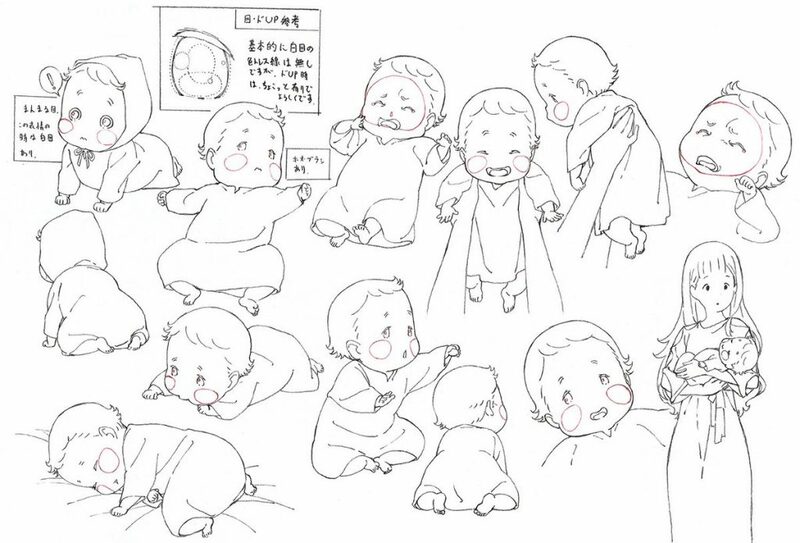 The rest of the in-house team struggles enough pulling their weight, while the animation flair often comes from the outside – particularly so with projects with freelance directors who have a lot of connections, as seen in next season’s very fancy looking Sirius the Jaeger. P.A. Works have gotten by just fine, earning a fairly high reputation from fans through other means like the shiny background work their collaborators tend to put together, but they were a bit at a loss when it came to effectively raising animators. How do you bypass that problem, then? Having your young staff learn over a long period of time from the industry’s best within a project geared towards that is as good as a solution as you’ll find. Maquia was initially pitched 5 years ago, and its pre-production began in earnest around 2014~2015. Over the final 1.5 years of active animation process, genuine legends from the field arrived to the studio with the intention to give Mari Okada’s directorial debut the glamour it deserved. Tadashi Hiramatsu was first contacted to draw storyboards and supervise the animation, but his grasp on this medium as a whole is so firm that extra duties kept getting piled on him, to the point that they had to come up with the role of Core Director to explain just how integral he was to this movie from a technical standpoint. His presence was also an incentive for illustrious acquaintances like Akemi Hayashi to show up to draw beautiful sequences, which only further encouraged other ace animators to show up as well; Takeshi Honda, Hidetsugu Ito, Takaaki Yamashita, Akira Honma, Masahiro Sato, Kazuki Hoshino – the final list of key animators is adorned by many of the names we’ve come to expect from anime’s greatest productions. But if we’re talking about sakuga stars, no one can even compare to Toshiyuki Inoue. The living legend who earned the nickname Charisma because of the sheer glamour that oozes from his work, as well as the self-explanatory title of Perfect Animator that Mamoru Oshii granted him. Personal bonds dating back to the days where P.A. Works staff would cooperate with Production I.G bring him to the studio to animate special scenes every now and then, but this time around he truly outdid himself. Inoue drew 120 cuts of fully finished key animation, as well as 180 cuts of roughs that were by any sane standards virtually perfect already. On top of that, he drew the layouts for 100 other cuts for Takeshi Honda to finish. About 400 cuts total, meaning way more than your average episode of anime’s worth of nothing but master class work. The thorough consideration that went into every single gesture, as well as the volumetric dragon animation that looks like it shouldn’t be possible without CG support, left everyone in the team speechless. Yes, even Mari Okada! And just as important as the volume and quality of his animation is the fact that the animation process facilitated the chance for up-and-coming artists to learn from him. A few drew their own cuts, but the biggest contingent of young animators from the studio was tasked with clean-up duties for Inoue’s extensive work. As previously mentioned, his roughs might as well be finished pieces of exceptional key animation, though the man himself would never agree to that. But there’s no clearer proof than the fact that P.A. Works are actually selling books of his rough animation, which wouldn’t be doable with the standard quality (or lack of thereof) people expect from 1st key animation. The youngsters were given a challenge, since they had to turn in work that was up to par with his peerless production, but also had the safety net of Inoue’s already excellent animation. This is an effective training project. A group of animators who weren’t even in the industry when this project began, and who’ve only worked in about a handful of projects, were granted an excellent chance to learn from the best. Saho Usui, Yoshihiro Kasahara, Chihiro Saito, Haruna Shinonome, Kotomi Shimazaki, Saeko Takahashi, Ayaka Tsuji, Mizuki Furuya, Kazuyoshi Yanagihara, Eri Yonemoto – these aren’t names you’ll see discussed in regards to the movie’s spectacular animation, but they’re the people who stood to gain the most from it. And if we’re lucky, they might eventually become the individuals to highlight in a future P.A. Works film. Now of course, the question is what will happen to the studio after this exceptional project. While worries that the studio’s issues might revert to normal are understandable, I can at least guarantee that P.A. Works is going to change. That isn’t guesswork, but rather a statement of fact since their founder and president Kenji Horikawa is retiring from active production work. 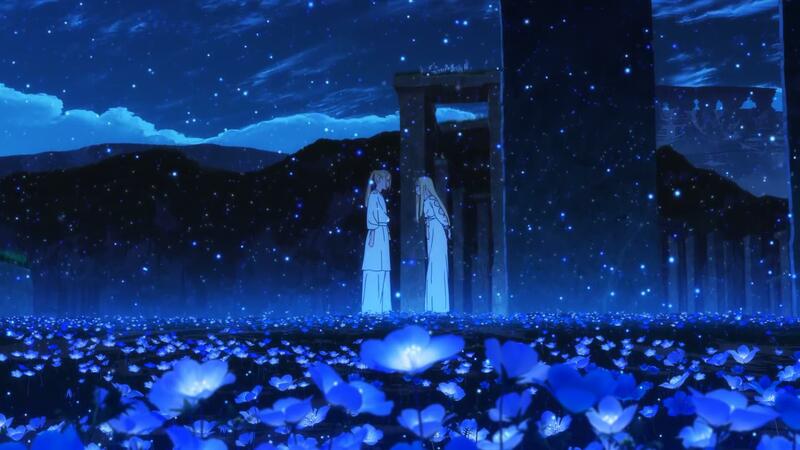 Maquia was the last project he’ll be involved with, which explains his effort not only to make it as good as humanly possible, but also to have a lasting effect over the studio. From now on he’ll be focusing on his CEO duties, giving him a chance to actually improve working conditions and live up to promises that had remained shallow for years. There’s no need to sugarcoat the fact that Horikawa has in the past been very misleading about the way P.A. Works operates to make them sound like a sweeter workplace than they actually were; his constant talk about in-house production sounded like mockery to anyone who’s ever looked at the credits of their shows, and the flaunting of background work when they couldn’t be bothered to create their own art department was tiresome. And yet I find myself being very optimistic about them now. The studio’s actions over the last year have all been focused towards a clear goal, and they seem to be having tangible effects already. P.A. Works is now equipped with programs to teach aspiring animators, who are more likely to remain with them as the working conditions improve. They’ve managed a project that encouraged youngsters to learn from animation stars, while also shielding them from production harms to a degree. While they’re still short on aces of their own to do continued mentoring, their commitment is undeniable at this point, and that’s the most important thing. It was the determination to stick to their values that got the anime industry’s rare positive exceptions where they are. Maquia was the perfect project to give P.A. Works the final push towards that direction. Chances are that we’ll have to wait a long time for them to get there, but everyone who worked in this film already knows that parenting isn’t easy.